The head of a school trust embroiled in a row over classes about LGBT rights says staff have been left “distraught”. “The impact on staff has been tremendous,” Ms Pulley said. She said the No Outsiders lessons use a book featuring two mothers and their child, and depicts them doing “normal things”. The idea is to show children how “all families are different”. 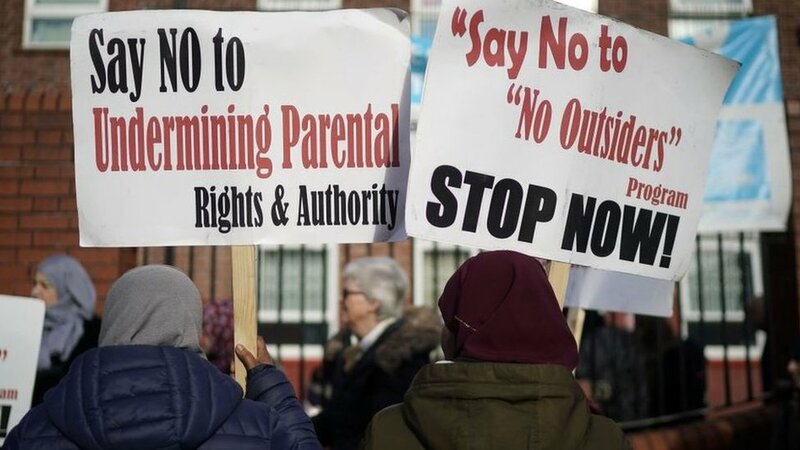 Ms Pulley said: “During this period where we said we are putting No Outsiders on stop, we have made sure that in our curriculum and in our assemblies we do not mention the LGBT agenda, because that is the only way we felt parents could come into the room and start talking to us. Ofsted has deemed the lessons “age-appropriate”.